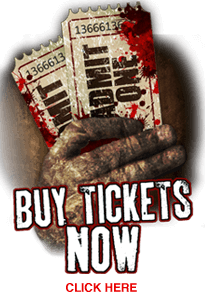 OH Haunted House - We dare you to Experience the SCARIEST HAUNTED HOUSE IN ALL OF OHIO, THE MOST HORRIFYING HAUNTED HOUSE OF ALL TIME --------------------------------------------- Are you afraid of CLOWNS? --- You start on a horrific journey through an old abandoned FUN HOUSE. This is an extremely high-intensity scare oriented haunted house. Many have entered, but very few have left alive. --- Then you travel deep into the WICKED WOODS, armed with only a flashlight, will you survive? --- Next you encounter the INSANE ASYLUM. We cannot control these psychopaths that now run this abandoned place! A pulsing, winding and chaotic labyrinth full of wrong turns, dead ends and terrifying psychotic inmates. --- Finally, you enter the historic FREAKSHOW in 3-D TERRORVISION. The floor, walls and every undead creature become a living 3-D experience that will leave you begging for mercy. You think you can see where the monsters hide? Think again! Prepare to be scared! ABOUT "CARNIVAL OF HORRORS AT BLOSSOM MUSIC CENTER"
Featuring 4 Spine-Tingling Haunted Houses. THE FUN HOUSE: Are you afraid of clowns? A terrifying journey through a haunted fun house featuring several Hollywood-style effects and scares. BEWARE: This is an extremely high-intensity scare oriented haunted house. Consistently voted as one of Ohio's number one attractions year after year. Many have entered, but very few have left alive. THE WICKED WOODS: We dare you to walk through the darkest corner of Blossom's haunted woods. Don't expect to see anything coming, because you'll be alone while you try to escape. However, the monsters will be watching and waiting to strike. You'll never know what hit you. We will even supply you with a flashlight since it's so dark and scary. After all, it wouldn't be fair to send you in there unarmed. So, only with a flashlight, you must attempt to find your way out and escape The Wicked Woods. THE FREAKSHOW IN 3-D TERRORVISION: Northeast Ohio's first and most original fully three dimensional walk-through haunted house, using state-of-the-art Chromadepth 3-D glasses to bring The Freakshow to life. The floor, walls and ceiling become a living 3-D experience that will leave you begging for mercy. To survive and reach the exit, you must be able to pass through the 3-D Vortex Tunnel. You won't believe your eyes. THE INSANE ASYLUM: A pulsing, winding and chaotic labyrinth of wrong turns, dead ends and terrifying psychotic inmates roaming the abandoned mental institution that are waiting to tear your soul apart. Try and keep your mind clear, this confusing and high energy maze is difficult to escape and not for the weak-minded!! Probably the scariest haunted house I have been to in a long time! This is seriously scary. Seriously.